Just hours after a judge dismissed all charges against three Muslim extremists training children to become school shooters, the suspected terrorists were released from jail. 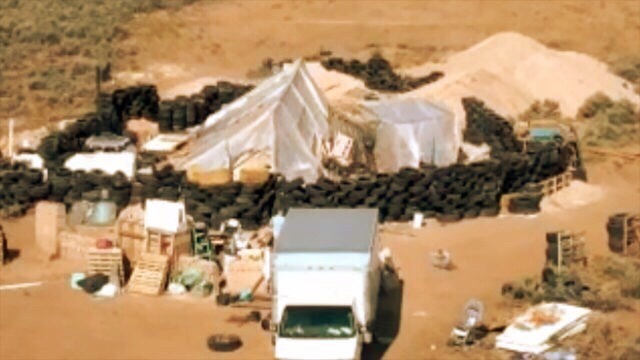 The three men were charged with running a radical compound in New Mexico. On Wednesday, district Judge Emilio Chavez dismissed charges against three of the five defendants; Lucas Morton, Subhannah Wahhaj, and Hujrah Wahhaj. Chavez ruled that the authorities violated the state of New Mexico’s “10-day rule.” If you’re thinking “these guys got off on a technicality,” you would not be all that far from the truth. According to Fox News, the child abuse charges against the three suspected terrorists were dropped because prosecutors missed the 10-day limit for an evidentiary hearing to establish probable cause. During a separate hearing which also took place Wednesday, Judge Jeff McElroy dismissed the same charges against fellow defendants, Siraj Ibn Wahhaj and Jany Leveille. However, charges leveled against them on Friday, in connection to the death of a missing 3-year-old boy, remained. Taos County Sheriff Jerry Hogrefe announced that Siraj Ibn Wahhaj, the missing boy’s father, and Leveille were charged with “abuse of a child resulting in the death of a child” and “conspiracy to commit abuse of a child.” Police stormed the compound August 3 to look for the missing child. A child’s remains were found on the property on August 6. Health officials confirmed earlier this month that the discovered remains were positively identified as the missing 3-year-old boy’s. Siraj Wahhaj, 39, and Lucas Morten, two very heavily armed men who are believed to be “extremist[s] of the Muslim belief,” were running the horrifying compound, Hogrefe said. When police arrived on the scene, Wahhaj was armed with an AR-15-style rifle and several loaded 30-round magazines. He also allegedly had on him four loaded pistols. The Muslim extremists running the compound were heavily armed and said to be training children to become school shooters. Next Was John Brennan a traitor who allowed 9/11 terrorists to enter the United States and murder thousands?